After all the leaks, it’s official. Say hello to the Fitbit Charge 3. The Charge 2 successor that shows the company is not preparing to throw the towel in on fitness trackers just yet despite its early successes entering the world of smartwatches. Fitbit says it’s done the research and that research shows that there’s still a greater demand for fitness trackers in comparison to smartwatches in certain territories (the UK for example). So it’s beefing up the powers of its flagship tracker and making it more attractive to help bring it in line with its Versa and Ionic smartwatches. Fitbit is introducing the Charge 3 at the same price as the current Charge 2, so it’s £129.99 for the standard version with the special edition coming in at £149.99. It’s available to pre-order now and goes on sale in October. We’ve had some hands-on time with the Charge 3 to see what changes Fitbit has made and how it hopes to keep people buying its fitness trackers. It’s been a long road getting from the plastic not-so-fantastic looking Fitbit devices of the early years. But since the introduction of the Alta line and more recently the Versa, things have changed for the better, and the Charge 3 benefits from that change in design philosophy. It still has that Fitbit Charge DNA, but with a big dollop of Fitbit Versa. You still have the touchscreen display that is slightly larger and brighter than the one on the Charge 2. 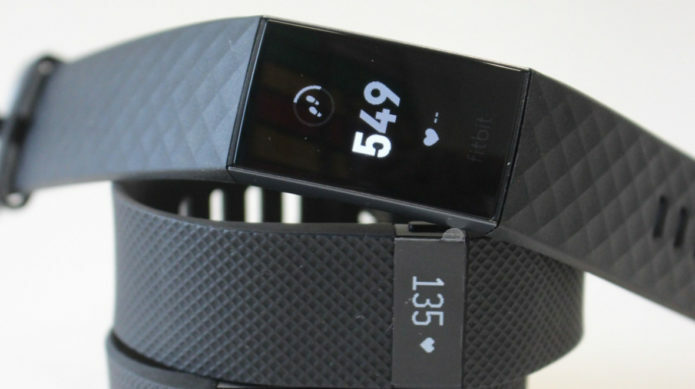 You also have removable straps, but Fitbit has made notable changes to make it feel overall sleeker, slimmer and just more attractive on the eye than previous Charges. We’re going to start with the straps because that’s what grabs you first. They’re interchangeable and there’s a lot to pick from. There’s the standard classic bands that come in the box but you also get your pick of more workout-friendly silicone sports bands, woven bands and Horween leather bands. You want to dress up your Charge 3 to look less like a tracker? You’ve got plenty of options here and they do the trick. 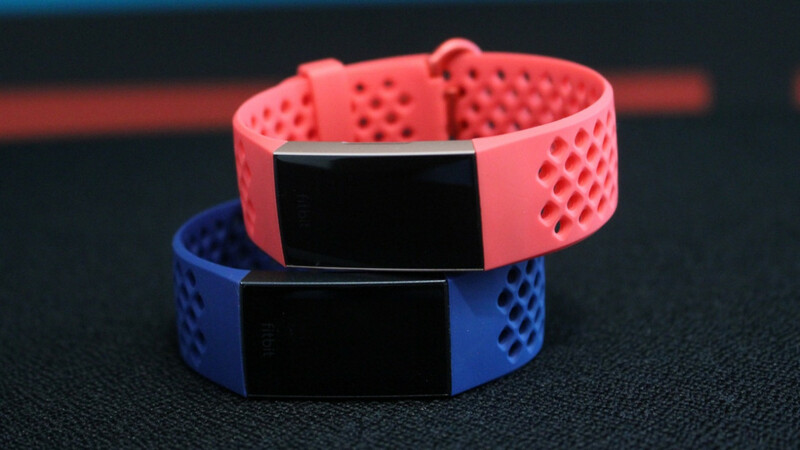 Fitbit has switched up the case materials too opting for aluminium over stainless steel to make things feel lighter. But what really makes an impact when you’re wearing it is the bulk that has been shaved off from the inside of the tracker. That makes it sit more naturally on the wrist and should make it more comfortable to sleep with too. Despite making things slimmer, Fitbit has managed to still find room for its new SpO2 sensor alongside its heart rate sensor. This will future proof the device for the same serious health tracking promised with Fitbit’s smartwatches – that are yet to turn up. To deliver that sleeker look, there has been one sacrifice and that is the solitary physical button that features on the Charge 2. The reason for ditching the button is related to the device’s inherited waterproofness (more on that shortly) and has been replaced by a more discreet inductive button. This now means giving the areas on either side of screen a little squeeze to skip back through menus. Doing that provides a small vibration to indicate that you’ve skipped back a menu screen. If you have the special edition Charge 3, which includes NFC to unlock Fitbit Pay, this is how you’ll be able to start the contactless payment process too. The inclusion of the inductive button helps preserve that much slimmer profile and that’s something we can definitely get on board with. When you look at what Fitbit has added in the features department it’s clear that it wants to bring it as much line with what it’s smartwatches are capable of. The restraints of a significantly smaller body to play with means it’s not able to bring all of the Ionic and Versa features over to the Charge 3, but there’s certainly some big upgrades when you compare it to the Charge 2. One of the most welcome upgrades is 5ATM of water-resistance, which means that the Charge 3 joins Fitbit’s smartwatches and the Flex 2 budget tracker as swimming-friendly Fitbits. There’s swim tracking, as you might – but the on-device experience is slightly different to what you’ll get on the Versa and the Ionic. It’ll automatically track your swim activity, letting you see duration on the device, but you’ll need to head to the app to see details on laps, pace when you’re swimming session is done. From the device you can start tracking a range of exercise modes including running, cycling, swimming and yoga with new goal based mode that means if you want a little motivation you can choose to go after a specific distance or duration instead of simply heading out for a run or a ride. There’s some familiar inclusions here like Fitbit’s SmartTrack tech to automatically recognise a range of exercises, 24/7 activity tracking including some of the best sleep tracking in the business and mindfulness features like guided breathing. It’s also bringing as much of the data that’s stored inside the app to the device itself inspired by the My Day UI that was recently introduced to Fitbit’s smartwatches. Something that doesn’t make the cut is built-in GPS, which is disappointing when you see that Samsung managed to squeeze the tech into its fitness tracker. There are also cheaper trackers like the Huawei Band 2 Pro, that manage to find room for it too. Like the Versa, you can piggyback of your phone’s GPS and Fitbit has its reasons for not including a GPS sensor. They told us that it would have meant compromising on the slimness of the design. It also believes that the type of person the Charge 3 is aimed at won’t necessarily have a demand for this feature. We’d be interested to hear if the majority of Charge 2 owners agree with that. As we mentioned above, Fitbit is clearly trying to bring as much of the experience it delivers on its smartwatches to its flagship tracker. But there are obvious limitations. 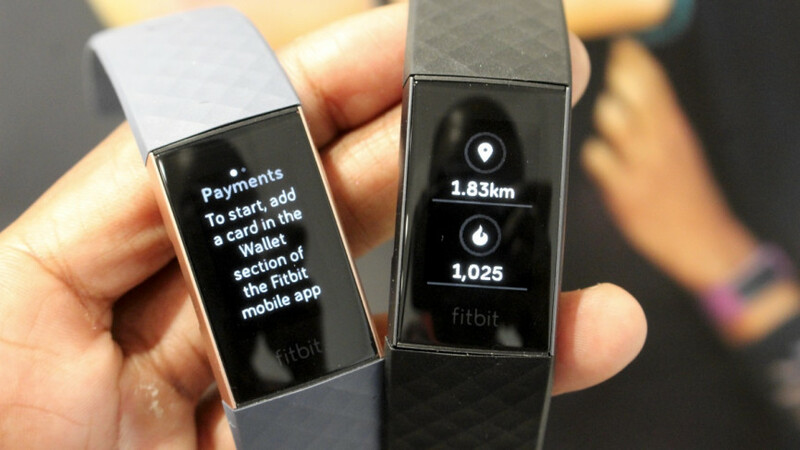 On the software front, the Charge 3 doesn’t run on the same Fitbit OS as its smartwatches. So you don’t get an app store or a collection of watch faces to download. But Fitbit is hoping to introduce some form of third party app support similar to ones found on Versa on the Ionic further down the line. For the time being, you’ll find apps for alarms, a timer and the weather with Fitbit Leaderboard and calendar apps available in a future update. Smartphone notification support has improved letting you view call, calendar text and app notifications on the tracker. The ability to respond and send quick replies is a feature reserved for Android phone users while the ability to accept and reject calls will be a feature added in the future. From the companion app, you’ll find support for new female health tracking features, which is available to all Fitbit users. There’s also new personalised insights on the way that will analyse activity, heart rate, sleep and nutrition to offer tips and recommendations. It’s not clear how much data the app will need to start making these recommendations, but it’s a good to see that Fitbit is ready to make data more actionable for users. As an upgrade to the Charge 2, there’s a whole lot to like here. It looks so much nicer, it’s finally brought about changes we’ve wanted to see on the Charge for some time (waterproofing FTW) and its enhanced features that have already impressed us on the current Charge. It looks like Fitbit has got the pricing right and future proofing it with the addition of the SpO2 sensor to unlock serious health tracking is great to see too. The lack of GPS is disappointing, but aside from that, the Charge 3 looks set to be another fitness tracker hit for Fitbit.